The Parliamentary Legal Advisor recapped the important points that came up during the public hearing about the President is reservations on the constitutionality of section 45B(1C) warrantless searches in the Financial Intelligence Centre Amendment Bill he had referred back to Parliament. The senior counsel legal opinions set out general principles on the right to privacy and statutory provisions permitting searches. They found section 45B(1C) limit is the right to privacy but in a manner that is compliant with section 36 of the Constitution, and that the scope of the provision, read in context with limitations imposed by the Bill, does not go beyond what is constitutionally permissible. Notwithstanding this conclusion, the addition of a clause was proposed to put beyond any doubt that the warrantless search is “only for the purpose of determining compliance with this Act or any order, determination or directive made under this Act". The "legal" opinion provided by Black Business Council (BBC) and Progressive Professionals Forum (PPF) clashed with this. The opinion provided that the supremacy of the Constitution and an obligation was imposed by the Constitution on the State to “deepen, promote and uphold the fundamental rights contained in the Bill of Rights in Chapter 2 of the Constitution". Parliament as legislative authority is obliged to ensure that all Bills advance the “basic tenets of equality, human dignity, freedom and social justice". It was noted that the opinion did not come from a lawyer but from a political analyst for The New Age newspaper. Some Members argued that it is irrelevant whether the opinions comes from legal person or not, it is the substance and quality of the opinion that the Committee needs to focus on. Treasury highlighted that by law no private bank or company is allowed to inspect for compliance to the FIC - that has to be done by the supervisory institution (such as South African Reserve Bank, Financial Services Board, National Gambling Board, Estate Agency Affairs Board and law societies), or the FIC. The inspections can be conducted only to check compliance with provisions of the Act or any order, determination or directive made in terms of the Act; searches with a warrant of a private residence or unlicensed business will be allowed only if the premises are being used for business purposes; and permission from senior members of the Financial Intelligence Centre (FIC) will have to be obtained before the warrant is applied for. The Financial Intelligence Centre informed the Committee there were more that 200 000 suspicious accounts it handles every year. However, it was not clear how many of these cases ended up in the courts. But Treasury submitted that there were very few people who were prosecuted. When SA goes to the Financial Action Task Force, some countries indicate they act swiftly on these suspicious accounts and SA does not act swift enough. Members asked questions about the stakeholders who misled Parliament with a 'legal' opinion; whether amendments to remedy the President's reservation may amend provisions in the principal Act which were not part of the Amendment Bill; there needing to be clarity that in order for a warrantless inspection to proceed there must be prior authority given to the inspector by the supervisor; that the default position for licenced business premises appears to be warrantless searches according to the way the proposed amendments have been drafted. • If the Committee agrees with the President is reservations, the Committee must report to the Assembly, including an amended Bill correcting the constitutional defect (Joint Rule 203(3)(b)). In other words, the Committee is authorised to correct the constitutional defect but not to make policy changes. A decision by the Committee that results in a policy shift could result in a constitutional challenge. • The legal opinion from Adv I Semenya SC & Adv S Budlender analyses the President is reservations about the constitutionality of the section 45B(1C) in the Financial Intelligence Centre Amendment Bill [B33B–2015] sent back to the National Assembly. It set out general principles on the right to privacy and statutory provisions permitting searches. It concluded section 45B(1C) limit is the right to privacy but in a manner that is compliant with section 36 of the Constitution. • Legal opinion from Adv J Gauntlett SC and Adv F Pelser agrees with the independent legal opinion from Semenya and Budlender. It is conclusion was that section 45B(1C) addresses the constitutional defect identified by the Constitutional Court in the Estate Agency Affairs Board v Auction Alliance. • The opinion provided by BBC and PPF clashed with the senior counsel legal opinions. It stated that the primary drafters of the Bill “might have had an ulterior motive by seeking to cleverly conceal the actual purpose of the Bill thereby misleading Members of Parliament, who may not necessarily be fully literate about the technical depth of the interpretation rules established by the law". No explanation is given in the Bill for this deviation. In addition, the Bill does not comply with section 36 of the Constitution and does not attempt to advance, promote and protect the rights contained in the Bill of Rights. The Bill is instead a “brutal and capricious attack to the existing order of rights protected by the Constitution". The opinion finds that the Bill creates an apparent conflict with existing laws authorising State institutions to investigate crime, law enforcement and public prosecutions. By vesting such powers in banks, the Bill ousts the SAPS, Hawks and NPA from their core mandate, and removes common law rights to fair procedure and the rights contained in the Constitution. • Public stakeholders such as BASA, CASAC, Corruption Watch, ABSIP, and SAIPA submitted that the Bill is constitutional and, although it may be tightened up and refined, the process needs to happen expeditiously. Adv Jenkins stated that he will not dive in too deep as these concerns have already been shared with the Committee by these stakeholders. Mr F Shivambu (EFF) commented that a "legal" opinion was submitted by someone which misled Parliament. He asked for clarity on who did so, so that if further steps need to be taken against those people or stakeholders, it can be done. Mr S Buthelezi (ANC) stated that it is important that the inspectors have warrants when going to search the premises of the occupant. For the warrantless aspects of the Bill, it is very important that the occupant is informed prior to the search because the occupant is constitutional rights will be infringed. In light of Section 45(1)(D), it becomes important that the senior official of that authority should give permission for that process, and the procedure should be clear. In addition, all the legal opinions need to be noted: the legal opinion from Parliament and collated with those opinions from Treasury and other stakeholders. There are instances where people will use certain laws to break the law. Adv Jenkins replied that the BBC and PPF might have been misleading Parliament, and it is something that needs an answer and whether the BBC and PPF were aware of the actual purpose of the Bill. Treasury will answer to the substance of Parliament being misled. Mr Ismail Momoniat, Head: Tax and Financial Sector Policy, National Treasury, stated that the submissions agree that the scope is narrow and focus must be on warrant searches and no new issues can be introduced at the this stage. Treasury distinguished between ordinary submissions and legal opinion. It appears that the one ‘legal opinion’ provided by BBC is not really a legal opinion – it is from a political analyst. The Chairperson said that the Committee has not been able to get the legal opinion from the BBC, and when asked to submit it, BBC said that it is attached to the letter that was sent to the President. Mr B Topham (DA) said that that legal opinion is actually written by someone who is a commentator for The New Age (TNA) newspaper, which addresses himself as a commentator and a writer. So he does not come across as a lawyer at all. Ms T Tobias (ANC) said that whether it is a legal opinion from a lawyer or not it is immaterial. What is important is the content of what is in the document, and if it is not substantive the argument does not suffice. The Committee is not testing whether the opinion comes from a legal person or not but the constitutionality of the legal opinion presented, so in this case it did not hold and it did not suggest anything different. Therefore, why the debate about whether it is coming from a legal opinion or not. Mr Shivambu said in principle Parliament must listen to every submission, but the submission by BBC and PPF suggested that the Committee did not understand the scope of the Bill and it had engaged in unconstitutional activities. It is clear that it is from a political faction. Mr D Maynier (DA) said that the Committee should not be distracted. It is clear that the BBC / PPF submission was outside the scope of the Committee. The real intention of their arguments were very similar to arguments made about the Scorpions. Ms Tobias turned to Mr Shivambu and said the issue needed to be clarified to see if it holds in terms of constitutional prescripts. The issue is not about the personality that raised it. You cannot come into the Committee and play politics. Mr P Mabe (ANC) stated that people are using this as a campaigning ticket. Just because people are associated with certain people and organisations that does not mean they should not be given fair and equal opportunities as others just because of their association. The Constitution allows every South African to raise views about their dissatisfaction. Therefore, Members of Parliament need to join hands and send the correct message to the public. Mr Momoniat stated that the FIC Act power is restricted to administrative enforcement only. Inspectors under the FIC have a power restricted to compliance with the FIC Act only. The FIC and inspectors under the FIC law do not have investigative or criminal law enforcement powers which can only be done by the National Prosecuting Authority (NPA) and the South African Police Service (SAPS). FIC employs inspectors only when there are no supervisory authorities within the sector, so it is very limited. FIC does its supervision via supervisory authorities such as South African Reserve Bank (SARB), Financial Services Board (FSB), National Gambling Board, Estate Agency Affairs Board and law societies, almost all inspectors and inspections are done by the supervisory institution and their employees. 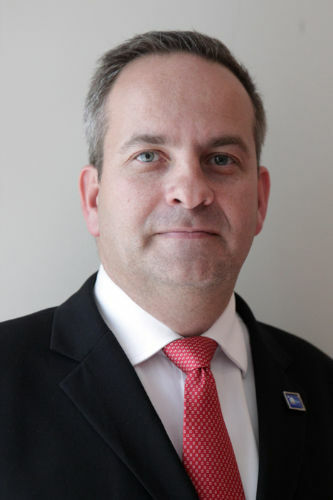 Mr Pieter Smit, FIC Executive Manager for Legal and Policy, advised that the FIC does not appoint or delegate the inspection to other bodies but it is actually the Act itself that delegates and appoints the supervisory institution the responsibility of supervisory powers for their own sectors in section 45 of the Act. The appointment of inspectors can be done in two ways, depending on which way the institution prefers depending on the structure. Firstly, it can employ inspectors internally, and ad hoc through special inspections and circumstances. There are times where forensic inspectors may be appointed depending on the intensity of the inspection. If it happens that a supervisor may not be able to perform the function, by default the FIC will take up the inspection responsibility. Mr Momoniat said that it is important to note that by law no private bank or company is allowed to inspect for compliance to the FIC - that has to be done by the supervisory institution or the FIC. The fight against financial crime predates FICA. FICA does not deal with financial crimes or any specific type of financial transgression as a crime, it is one of many policy instrument of government to support the fight against organised crime. The anti-money laundering aspect only deal with the proceeds of crime. There is always a pre crime that has been committed in another Act. So if it is your own money and you can prove that, then you are not laundering it. It is only when you are laundering the money received through the proceeds of crimes such as corruption, tax evasion and many other acts. FICA is one of the many policy instruments to support the broader government policy to tackle organised crime. FICA is not intended to, and does not, criminalise money laundering, racketeering and terror financing. This is done in other legislation such as the Prevention of Organised Crime Act (POCA) and the Protection Of Constitutional Democracy Against Terrorism And Related Activities (POCDATARA) Act. FICA only deal with the laundering of the proceeds of crime, so there is always a predicate crime in terms of another law that generates the illicit proceeds. So government imposes certain duties on banks, insurers, asset managers, estate agents, law firms, gambling institutions as they could be used for money laundering purposes and financing of terrorist and related activities. Thus FICA requires them to conduct risk management i.e. Know your customer (KYC) on those already designated by Cabinet/legislature as Prominent Influential Persons (PIP) and to file Suspicious Transaction Records (STRs) with the FIC. - Banks are outside the net. In conclusion, he noted that the scope for the FICA Bill current hearing is narrow and restricted to warrantless searches, and it is critical for SA that we comply with the standards for our own sake of the Financial Action Task Force on Money Laundering (FATF), as it is in our best interest. The down side of adherence to international standards without an equivalent domestic legal framework is that there are no checks and balances to manage overreach. There is high risk of SA banks losing their correspondent banking relations if SA does not align with international best practice. Mr Tobias commented that when people misunderstand the law, it is the duty of National Treasury and Parliament to explain it otherwise it results in a misconception of the law being created. If Members and Treasury are too technical and legalistic, it is not going to help intensify the intent of the law. Compliance without understanding is not going to happen. Today Treasury has explained very well the functions of the FIC and how it dispenses the responsibility for supervision to the South African Reserve Bank and other institutions. This needed to be clarified thoroughly. As far as FATF is concerned, Parliament needs to be taken on board on those discussions so that it can move in tandem. Thorough processes that allow people to be part of the discussions are much needed. For instance, what about people who get arrested for the first time, and end up with a criminal records for the rest of their lives. Some people commit crime not even aware that they are creating a crime. Hence people need to be taken on board and educated. This is something that has never been discussed, and that can be discussed at a later stage. There are people who are doing certain things without realising that they are breaking the law. With thorough education and outreach people will have no excuse when we come to arrest them for committing criminal acts. Mr Buthelezi said if a bank sees a suspicious transaction, upon investigation the outcome can go either way and then the bank could decide it will close your bank account. And now imagine the person whose bank account it is, is overseas. He asked how that process is going to pan out. The Chairperson stated it is clear that the Bill is constitutional, so it makes sense that the Committee tightens up the Bill making it clear, particularly in a situation where the warrant has not been issued to search the premises of an occupant. The occupant needs to at least be informed prior to the search. The only issue for the Committee is whether it should tighten up the Bill, because there is no policy issue as far as he is concerned and the Bill is indeed constitutional. However, it is incumbent on the Committee to fix a couple of mistakes here and there, and change a few words and replace them. Even without the FICA Bill, he asked to what extent are some of the Bill provisions already effected by the banks because they are part of the global financial system. He remarked that banks actually abuse the public and are in effect discriminating against low income earners, no matter what National Treasury says, if you have a lower income non-African person and lower income African person, the effect will be discriminatory, but it is much more subtle. It is reasonable to suggest that when a bank closes down a person’s bank account, it provides an explanation or allow the person the opportunity to bring in legal representation. You would recall that Treasury brought that up in the last stage of the hearings. The PPF and the BBC is not a structure of the ANC, and so it does not speak for the ANC. They may be comrades but they do not speak for the ANC; this needs to be cleared up. There are other comrades who occupy leadership positions in other prominent organisations who are criticising the slow process of the Bill being enacted. Lastly, the Chairperson advised that it is wrong to suggest that the Committee has been misled. The Bill went through Cabinet, and if that is the case then it safe to say that Cabinet misled the Committee. Given the limited resources available to the Committee and technical legal expertise at its disposal, it is not fair that the Committee has been misled. Mr Mabe said the ANC study group is not divided and has always been united on these things, and the ANC is going to continue to lead in this country. The Chairperson said the newspapers are painting a picture that the ANC study group, Parliament and government is divided, so there is substance to that statement. The basis of that statement came from the two allied (BBC and PPF) organisations that came here to speak as if they were speaking for the ANC. That is where the issue stems from. Mr Momoniat stated that banks with their front line workers need to do more than just tell customers that ‘government wants you to do that’ when customers need clarity on certain transactions that are informed by legislation. With regards to attending FATF meetings, Treasury defines who exactly can attend and a lot come from the public sector. Mr Smit said the FATF delegations is construed of government officials not at a political level, and does not include the private sector unless in some circumstances where they require submissions to be made. Mr Momoniat said about key risk management that government must do more in countries to tell banks how to conduct their risk management because if you leave it up to private companies these policies will be stringent because they must be in their favour. Banks might see your accounts, but the real money launderers are going to move the money around. That is why the FIC does an analysis. The moment the banks suspect a transaction, they must compile a report expeditiously and furnish it to the FIC, and banks can be fined for taking too long to provide this report. The FIC will then peruse the report and assess it and then may provide it to the Hawks or SAPS. Mr Smit stated that when an institution suspects a transaction, it must report that transaction to the FIC and if the bank continues to do business with that customer, it can do so as the legislation provides for it until the FIC goes back to the bank to instruct it about what to do with that particular customer or transaction, and whether to close the account. The general practice is that the business continues as normal. In the context of risk management, institutions make thousands of reports and there are 200 000 suspicious transactions submitted to the FIC annually. If there is a trend of suspicious behaviour that has been happening over time and one account is reported numerous times, the institution needs to take into account whether it should assess its risk management based on that one transaction. The FIC does not instruct the bank to close a customer account or terminate its relationship with that client. It provides the bank with the required information to assess whether the transaction is indeed suspicious and needs to be looked into. Mr Momoniat said that as a client you will not even know that your transaction is suspicious. There are issues between the FIC and the banks about what is allowed and what is not, and whether the banks can go directly to the Hawks. The provisions on the sharing of information need to be looked into from different perspectives, because the spirit is that if there is a suspicious transaction it should translate into prosecution. The fact that it does not happen quickly enough tells one that there is a problem within the law. Importantly when you go to FATF, some countries say they do not want 200 000 reports, and maybe you need to get fewer so that they can lead to more prosecution. With 200 000, there is no information on how many transactions have been prosecuted. So it there is a lot to be done to ensure that the process happens smoothly. The problem is not that there are shortcomings in the law - there is an issue of performance in terms of what is expected. With regards to the occupier in the premises, the owner and the tenant may be different. The provisions are not required. The law currently does not compel any bank to look into PEPs and PIPs, the FICA Bill bridges that gap - compels banks to look into PEPs and PIPs. The banks may do it already because it is their business model. The smaller banks that are local, probably do not. Once you deal with the dollar, you fall under the US jurisdiction. The law will regulate the practice in terms of its standards. In terms of discrimination by banks, there is legislation that regulates reckless lending such as the National Credit Act which is very effective in that space. Discrimination against ethnicity or race and so on, are issues that do exist in the sector, and this is where the government comes in with laws and regulations that will address such issues. Certainly, the current practice where things are moving slowly and where there are no explanation, in light of the Bill, the intention is to fast track it to address more of these issues. 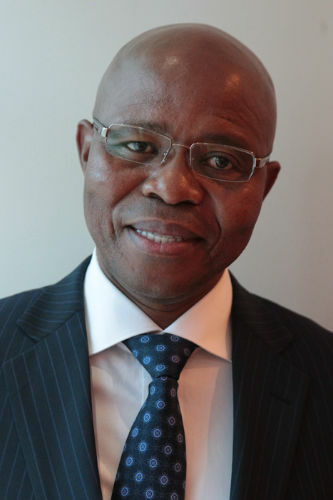 Mr Olano Makhubela, Chief Director: Financial Investments and Savings, Treasury, stated that there is a lingering concern that is widespread around the title of a PIP, somehow there is a sense that once you are a PIP the bank needs to move against you. There needs to be differentiation in terms of which items in the KYC that the customer is affected by, once you go through the enhanced KYC, what it reveals is that being a PIP does not mean the bank will stop transacting with you, it just means that there are a number of criteria that the banks needs to go through in the enhanced KYC. This is basically what the Bill is trying to achieve. Mr Maynier stated that he understood Treasury to say, there is no obligation on the banks to conduct enhanced due diligence on PEPs before the FICA Bill is enacted. That statement is factually incorrect, the reason is Treasury Guidance Notes 3A of 2013 provides that banks were obliged to conduct enhanced due diligence on PEPs. This is why he requested the Reserve Bank to conduct an investigation on the conduct of the banks in respect of a prominent family closely associated with a prominent political leader to determine if the banks complied with the obligation to conduct due diligence. If the banks had complied with Guidance Note 3A, the bank accounts would have been closed a long time ago. Ms Tobias stated that as it happens banks turn a blind eye because they are reaping proceeds from those transactions. It should be a matter of principle not only upon the request of a Member of Parliament to look into a certain prominent family. Banks should comply in looking at the conduct of clients and they do not need to get authorisation from any person or organisation and it must lead to prosecution. There is a race and human element to the banks - and these issues need to be looked into since nobody of any colour should be given special treatment. Mr Mabe stated that Treasury needs to look at the extent to which we are trying to comply with international standards. In SA we are guided by the Constitution and that is the supreme law. In abiding by international statutes or standards, we should not undermine the constitutional rights of SA citizens. Mr Momoniat said he is not aware of any case where a bank could talk about a client to someone else, but if they are doing it, it is indeed wrong. There are internal issues with the way the law is interpreted. Only the FIC sees a STR, but it does not mean that people are then going to be abused. To the extent that these things are done to settle scores, is wrong and that should be criminalised. Mr Smit explained how STRs are triggered. Banks deal with a large number of transactions. In the process there is an automated system that picks up suspicious transaction. Internally the bank will look into those transaction to analyse them and make sure that the transactions are correctly identified. The Guidance Note was issued by the FIC a long time ago, and PEPs were addressed in that Note because there were gaps in the legislation and also because of international standards. Mr Cas Cavoodia, Banking Association of South Africa MD, stated that bank client information is confidential, and he has never been in a position where a bank has disclosed information about their clients. The issue of race is still an issue, even in normal business practices. These are things that BASA is working on in terms of transformation. Legal opinion says that the Bill is constitutional. BASA has no problems with amendments that clarify certain issues. The urgency to sign the Bill is still there, not only because of the international standards. It is necessary to have the Bill signed expeditiously. Banks are careful about having structures and processes in place to detect and identify suspicious activity. Last year banks were fined because regulators felt that those structures and mechanism were not robust enough. If a bank breaks the law, it must definitely be taken to court to answer for it is crimes. Ms Empie van Schoor, Chief Director for Legislation at National Treasury took the Committee through the proposed amendments drafted by National Treasury and the FIC to clause 32 of the FICA Bill which amends section 45B of the Act (see document for the amendments). Mr Maynier said the proposed amendments bring in additional terms which are not defined in the principal Act such as 'private residence' and 'unlicensed business premises'. 'Non-compliance' is defined in the principal Act, and now Treasury has brought in a definition of 'compliance'. He asked if it would be possible that the definition may be included in the definitions in section 1. He stated that 45B(1) appears to make provision for the routine inspections. When you read that provision it seems that there are powers for inspectors to conduct non-routine inspections which directly translate to targeted searches where there is reasonable suspicion of wrongdoing at the licensed premises without a warrant while complying with the conditions laid out in 45B(1D). If that is true, there is fairly major issue with that and he had drawn up an amendment proposal to rectify it. Mr Maynier said in 45B(1C)(b) there needs to be clarity that in order for a warrantless inspection to proceed there must be prior authority. Mr Maynier said it appears that the Committee is amending 45B(2) which is in the principal Act and was never in the Amendment Bill. We agreed as a Committee that the scope of our work is confined to the reservations raised by the President. How far can Parliament go in proposing remedies that will propose amendments in the principal Act? The Chairperson said that the Committee’s decision is to make explicit what had been implicit as advised by the lawyers. It is important that a number of confusions are clarified. Adv Jenkins added that if there are other new amendments that the Committee wants to propose in the principal Act, it has to go through the National Assembly to obtain the permission to do so. This exercise is difficult because the Committee needs to confine itself to the reservations of the President. So if the Committee wants to make additional amendments, it needs to go through the House and obtain permission to do so. As long as the Committee sticks to the reservations of the President, it is safe. Ms Tobias asked Adv Jenkins about the process that should take place when the Bill is taken to the House. The Chairperson remarked that the Committee is not dealing with a policy issue here or a major train smash. He asked if the minor amendments are left out, would it really undermine what the Committee is seeking to do or is it not covered elsewhere. Ms Van Schoor added that some of the amendments were proposed because Adv Gauntlett had proposed them and she believed that some of these amendments are not really necessary. The Chairperson appealed to Members to ponder on this as it relates to a procedural issue, and discuss it at a later stage. And it is important that the Committee treads cautiously. Mr Maynier asked if it would be wise to get formal advice from the parliamentary legal advisor, and enter into some agreement with no costs involved to ask Adv Gauntlett if the Committee can amend the principal Act. If it is procedurally correct to amend the principal Act, then it will give the green light to cleaning and tightening up some of the amendments and make them much clearer. The Chairperson said that this is not about a policy matter, it is all about abiding by the Rules, because this Bill could end up at the Constitutional Court. On opening up other clauses in the Bill, Adv Jenkins said that he has reservations about that. He believes that this will open up a wrong type of precedent. As long as the Committee sticks to the President's reservations, the Committee can go forward. Ms Tobias noted that the check and balance is not limited only to the belief of the supervisor but the approval thereof, it is tight enough in that context. Mr Maynier commented on the need for prior authority. There needs to be clarity in the legislation that the belief must be held by both the supervisor and the director. It is possible in the practical circumstances that the inspector has a belief and is convinced that he can proceed with the inspection and for some other reason he gets a hold of his supervisor, and then he cannot exercise his belief. Mr Buthelezi pointed out when does one exactly get authority. It is important that the inspector obtains the authority prior to even arriving at the premises of the occupant. It should not be that inspectors go to the premises without prior authority. Ms Van Schoor replied about 'private residence', the term was used in the Bill as introduced but it was excluded from the text but the meaning is the ordinary use of the word. The new term introduced is ‘unlicensed business premises’. This was agreed to with Adv Gauntlett. With regards to 'compliance', the word has been adjusted accordingly and she proposed that it is retained in that clause. Mr Maynier stated that it seems from the 'prior authority' clause, it could be possible for an inspection to go ahead if the supervisor believes the search meets the criteria but the inspector does not. This means the inspector could be compelled to conduct inspections that the inspector believes are suspicious or illegal. Ms Tobias stated that in the event that an inspector's decision is without due authorisation from a supervisor, the supervisor is going to assume the responsibility of your action. So you will be treading on a difficult slope; therefore, most importantly, compliance is the key principle in this matter. Mr Maynier said it seems that when you look at 45B(1), when it comes to licensed businesses, it seems that the default position is a warrantless search even if that warrantless search is conducted according to (1D), the good conduct provision. This could create a constitutional difficulty. The Chairperson said but there is no warrantless search that the courts have found to be constitutionally invalid. Mr Smit said when you look at the judgement in the Auction Alliance case, the Constitutional Court ruled that section 45B in it is previous form was not correct, and stated that there must a distinction where a warrant is required and not required. Hence, the proposed amendments takes into consideration the distinctions where a warrant is required or not. Mr Maynier said now it has been established that the default position for a licensed business is a warrantless search, in respect of compliance and the other reasons mentioned. Ms Tobias said Mr Maynier is opening a discussion about the role of the inspectors. It has been said already that the suspicious transactions or activities are to be detected by computers. Now he is moving to a different premise, and this discussion has been discussed thoroughly. Adv Jenkins said that the President's letter is focused on 45B(1C) and complying with the Constitution. Mr Maynier said he just wanted clarification on inspections conducted under 45B(1B) for routine inspections of licensed businesses, and (1D), the good conduct clause. Does it not apply? Mr Smit replied that (1D) does apply to any inspection that is done without the authority of a warrant which will include inspection of licensed businesses under (1B). Mr Maynier maintained that after reading (1D), Mr Smit is indeed wrong. The Chairperson said unrelated matters will be answered and looked into once the President's reservations have been dealt with. He thanked Treasury and Members, and declared the meeting adjourned.